The new Hyundai Grand i10 is expected to arrive sometime towards to end of 2019 or 2020. The car is expected to come with improved styling and design and better features. 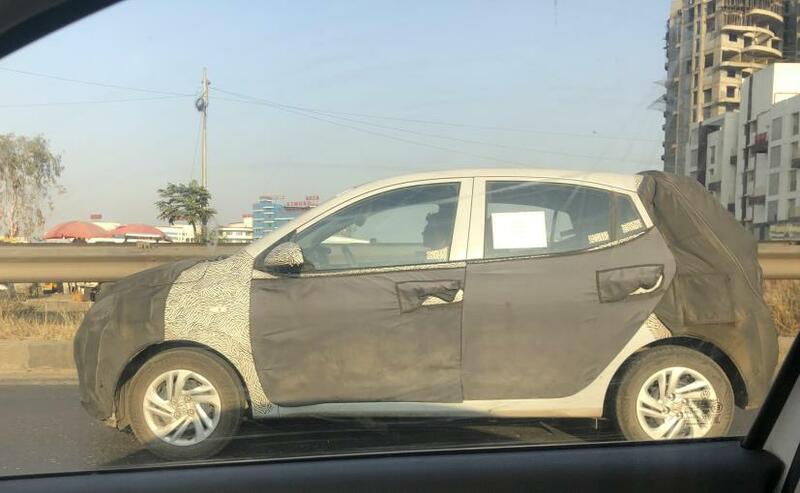 A prototype model of the new-gen Hyundai Grand i10 has been spotted testing in India. While the heavily camouflaged test mule does resemble the outgoing model, we see a bunch of heavy pseudo cladding and the car also appears to be an early prototype is likely to be a lot different. The car is also seen sporting steel wheels with hubcaps from the current Grand i10, and even the ORVMs remain unchanged. As of now, there is no update on the launch timeline, but we expect a late 2019 or early 2020 arrival for the new Hyundai Grand i10. 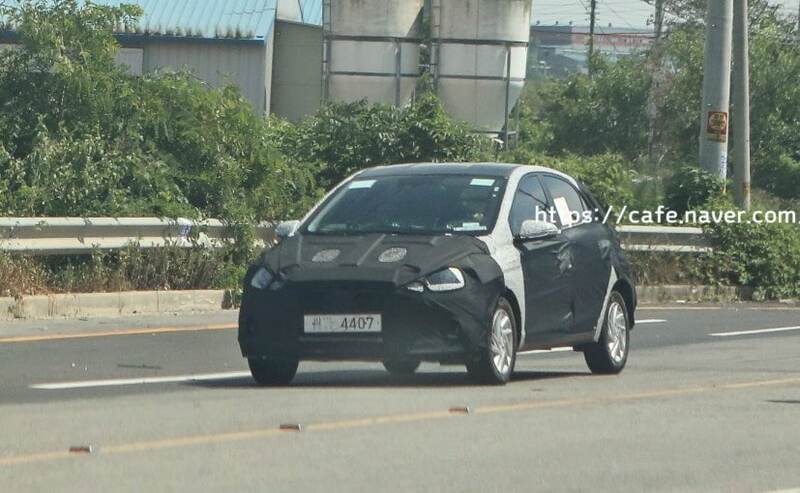 Early in August 2018, we also shared photos of the next-generation Hyundai Grand i10 undergoing testing in South Korea. In those images we could see the sharper proportions of the compact hatch, which came with sportier-looking alloy wheels, sleek outside rear-view mirrors with integrates turn signal lights, a roof antenna, and a pair on new horizontally positioned taillamps. The partially exposed headlamp also reveals a projector unit. Here, we only get to see the profile of the car, although the production model is expected to come with visual updated similar to the global model. The new Grand i10 is also expected to be based on an updated version of the existing BA architecture, so expect it to be bigger and also lighter compared to the outgoing model. We also expect improved safety features, an upmarket cabin, and a bunch of new features like a floating infotainment display, rear AC vents and more. It's too soon to comment on engine options, but the new model could feature either a BS-VI compliant or at least BS-VI ready versions of the existing engines. Currently, the car comes with a 1.2-litre diesel engine and a 1.2-litre petrol motor, with the option of both, a manual and an automatic transmission (petrol only).